Happy New Year, friends! I can't believe it's 2017 already. Where did 2016 go? Gotta admit though, I'm kind of happy to be done with last year. Although I had a great year myself, it has been a horrible year for lots of people. I hope that 2017 brings hope, love and peace. Personally, I'm looking forward to meeting new people this year, making new memories and seeing new places. One of my resolutions (yes, yes I know...) is to post on this blog more regularly. 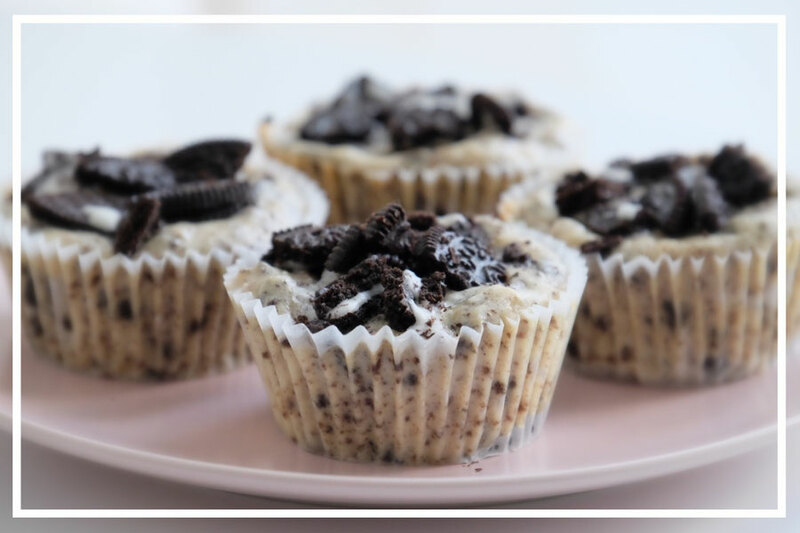 So, in the spirit of doing better this year, I'm posting this recipe for mini Oreo cheesecakes. Trust me, you'll love it! 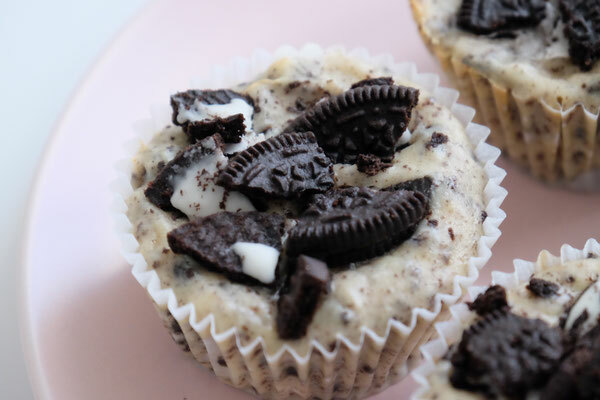 These mini cheesecakes are the perfect mix of Oreo cookies and cheesecake. And who doesn't love both? I've made this recipe a couple of times for friends and I swear, everyone loves these. I think it's because they're so small and simply the perfect portion when a craving for cake hits. The sweetness of the Oreo cookies goes great with the tanginess of the cream cheese. And if you bite into one of the cupcakes, you'll see that there is a surpise at the bottom: a whole Oreo cookie! Gotta love a good surprise, don't you? I hope that 2017 is full of pleasant surprises for you, good food, even better friends, shared laughs and most of all, happiness. In whatever form! 450g cream cheese (full fat), at room temp. Preheat your oven to 160°C. Line a muffin tin with cupcake liners. 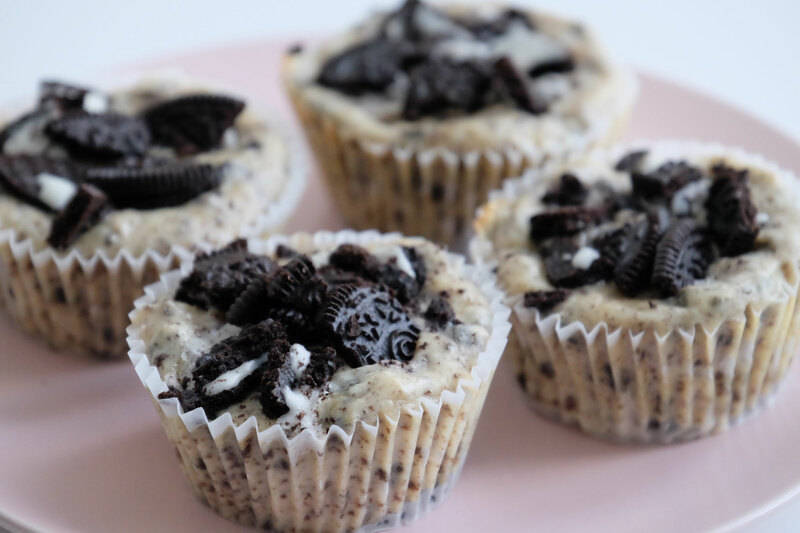 Add one whole Oreo cookie to the bottom of each cupcake liner. Cream together the cream cheese, the sugar, the salt as well as the vanilla essence until well combined. Add the sour cream and the eggs to the cream cheese mixture and whisk together until well combined. Put 8 Oreo Cookies in a freezer bag turn the cookies into coarse crumbs. Add the crumbs to the batter and mix well. Pour the batter into the cupcake liners until almost full. Cut the remaining cookies into pieces and add them to the top of the cupcakes. Bake the cheesecakes for about 15-20 Minutes. It's best to check after 15 Minutes: If the cheesecakes are lightly golden brown around the egdes, it's time to take them out of the oven. It's fine if they're still al little woblly in the center as they will set while they're cooling off. Let the cheesecakes rest and cool down after baking for at least 2 hours. They taste great when kept in the fridge!